The statewide silver alert issued for a missing 66-year-old Nebraska man who was last seen in Clay Center. has been canceled. 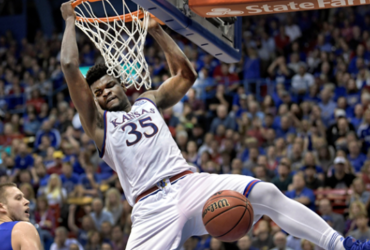 According to the Kansas Bureau of Investigation, Rick Kubes has been located deceased. Kubes had been last seen Sunday morning in Clay Center before he left to return to his home in Auburn, Nebraska. The Clay County Sheriff’s Department requested the Kansas Bureau of Investigation issue a statewide Silver Alert for a missing 66-year-old Nebraska man who was last seen in Clay Center. The whereabouts of Rick L. Kubes, 66, are unknown. Kubes was last seen wearing dark long sleeve shirt with a dark green windbreaker and blue jeans. Wearing a red/white ball cap, red in the front with mesh in the back and wearing glasses and large mustache. He is 5 ft. 10 in. 175 1bs. with white hair and a white mustache. 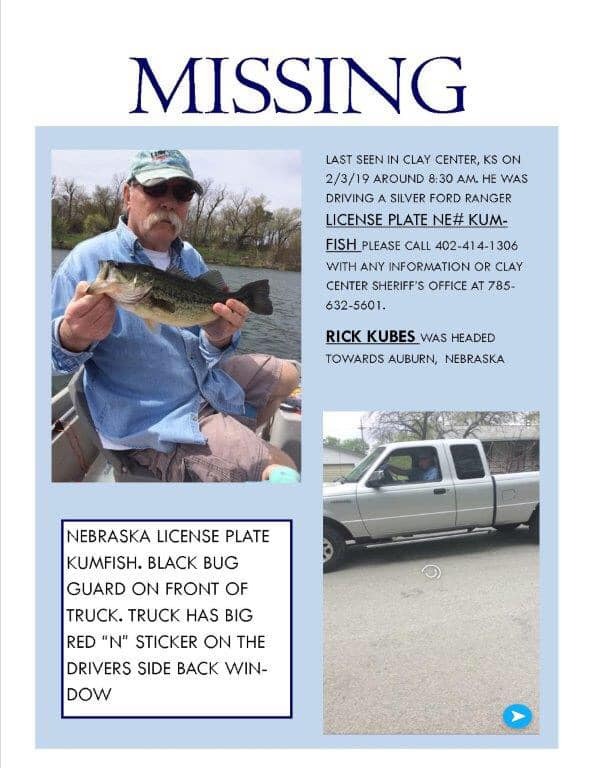 Kubes was last seen between 8:00 – 8:30 on Sunday morning in Clay Center before he left to return to his home in Auburn, Nebraska. Auburn is about a 2.5 hour drive from Clay Center. Kubes travels from Clay Center north on K-15 to Highway 36 then East bound on 77 then North to Beatrice Nebraska and then east on 136 to Auburn. His family says that he doesn’t travel outside this normal route. Kubes is driving a 2010 Ford Super Ranger pickup, silver in color. The back window has an “N” Nebraska sticker and a pass thru window. The front has a black bug guard. There is also a cooler and red two wheel appliance cart in the back.